Communications minister Faith Muthambi’s spokesman, Mish Molakeng, has confirmed that government on Wednesday lodged papers at the constitutional court to challenge the supreme court of appeal’s judgment over the encryption of digital terrestrial television, which found in favour of free-to-air broadcaster e.tv. The outcome of the long-running soap opera that is South Africa’s migration from analogue to digital television now looks set to be decided once and for all as the matter heads to the highest court in the land. Molakeng said he will be in a position later on Thursday to provide details about the rationale for the appeal. Current affairs website the Daily Maverick has seen the court papers and reported that MultiChoice, which owns DStv, and which is vehemently opposed to encryption, has also approached the top court. Website columnist Stephen Grootes wrote on Thursday that the ministry has “made some strong points” in its appeal, including that encryption is not necessary to assist the poor in migrating from analogue to digital broadcasts and that encryption will only assist prospective pay-TV broadcasters. In addition, set-top boxes are meant only to be a temporary solution until consumers upgrade to TVs with integrated digital tuners. Adding encryption will mean users have to own set-top boxes in perpetuity. In May, the supreme court of appeal found that an amendment in 2015 by Muthambi to South Africa’s digital migration policy did not follow a process of consultation and was irrational and in breach of the principle of legality. The court found, too, that the amendment did not achieve its purpose and was thus irrational and invalid. Muthambi purported to bind regulatory authorities and broadcasters and thus acted ultra vires, the court said. The court set aside the amendment to the policy, throwing the country’s digital migration project, which was originally meant to be completed five years ago, in 2011, into further disarray. 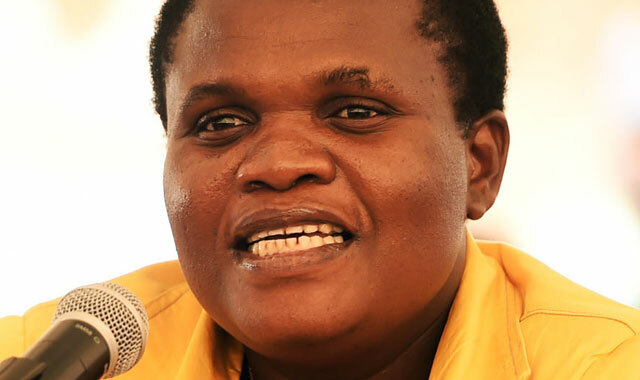 The judgment was particularly critical of Muthambi’s failure to consult with communications regulator Icasa and underserviced access agency Usaasa over the amendment. E.tv late last year filed an application for leave to appeal a judgment by the high court that went against it in the ongoing battle over whether South Africa’s digital terrestrial television signal will be encrypted or not. The high court had found that Muthambi’s amendments to the digital migration policy, gazetted in March 2015, would remain in force. The judgment was a significant victory for both Muthambi and for MultiChoice. And in the meantime we suffer because it will further delay release of much needed spectrum for data which is hogged by the swill SABC is going to keep broadcasting in analogue?